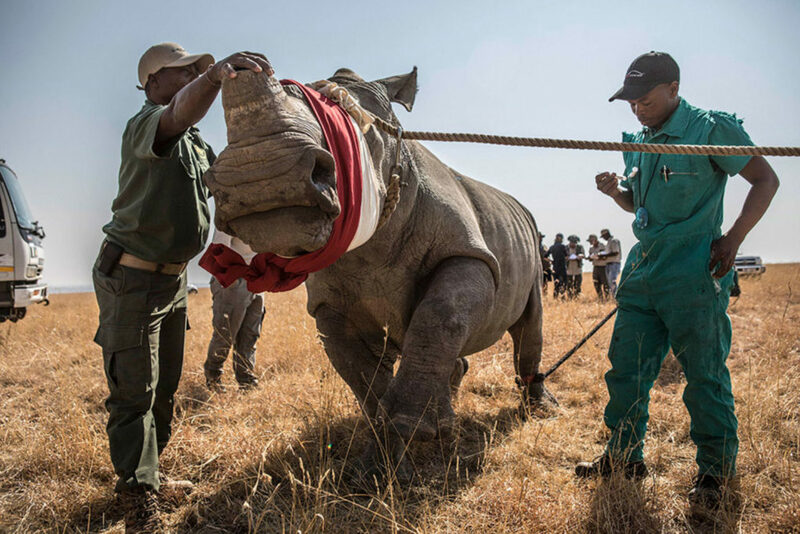 Rhino Relocation Jason Florio photography - Dodho Magazine - I rode along on the first convoy operated by Rhinos Without Borders from Free State, South Africa to the Okavango Delta – a 1500km journey with 15 rhinos – this was the largest transportation of rhinos ever attempted. 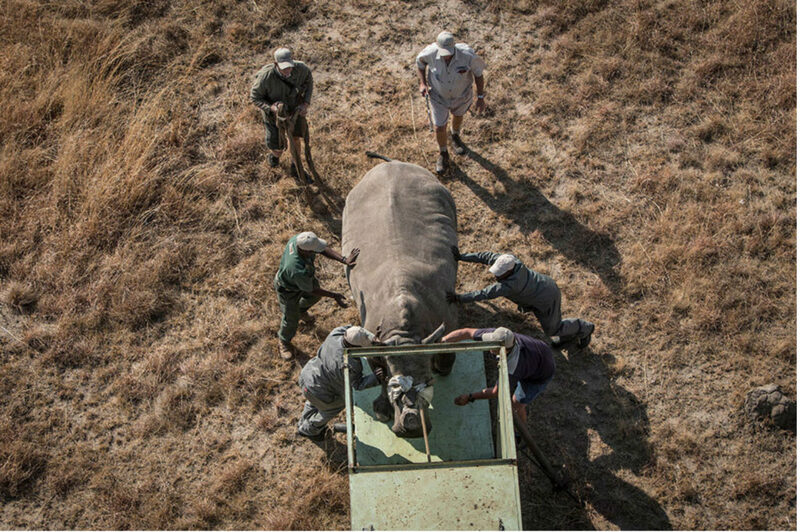 ‘A Movable Beast’ Rhino relocation by Jason Florio, Dodho Magazine – In a response to the dire situation that is facing rhinos in Africa, with rhino poaching at an all-time high, concerned conservationists teamed together to create Rhinos Without Borders. Rhinos Without Borders. plans to relocate 100 white rhinos from South Africa to safe havens in Botswana, where poaching is almost non-existent. Dodho Magazine. I rode along on the first convoy operated by Rhinos Without Borders from Free State, South Africa to the Okavango Delta – a 1500km journey with 15 rhinos – this was the largest transportation of rhinos ever attempted. The rhinos were owned by a Free State farmer whose farm had come under attack by poachers on a number of occasions. 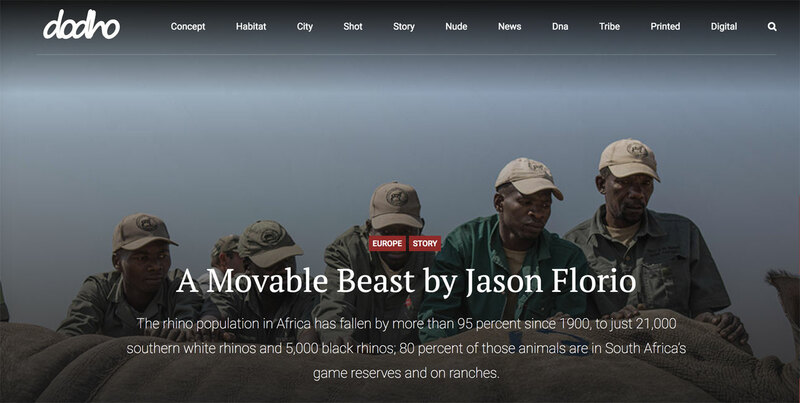 He decided that it was safer for his family and the rhinos to have them relocated by Rhinos Without Borders to Botswana… Jason Florio, photographer/Filmmaker. See the full feature in Dodho Magazine. The story was originally commissioned and published, June 2018, by Smithsonian Magazine. 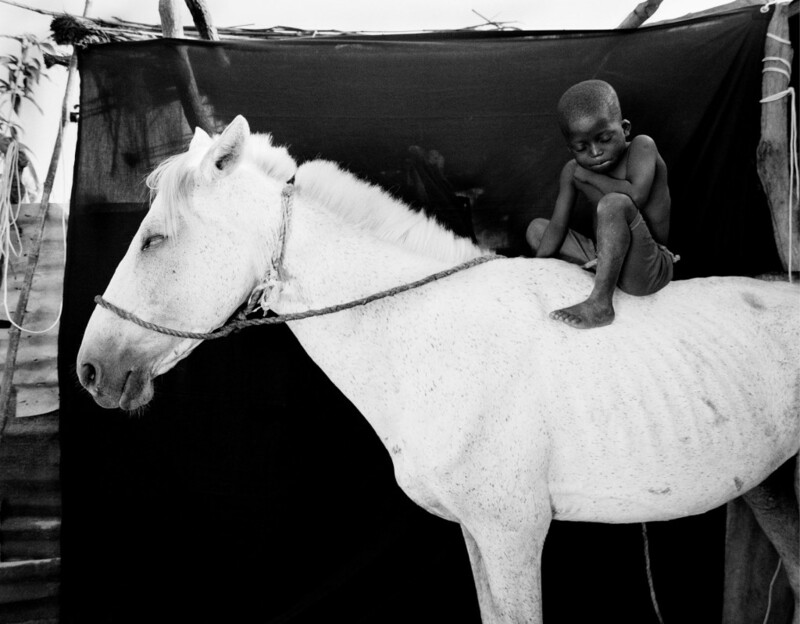 Available to purchase from the Helen Jones-Florio Gallery site: ‘Makasutu’ – award-winning black and white portraits from West Africa – and, ‘World Glance‘ a glimpse of Florio’s from around the world. 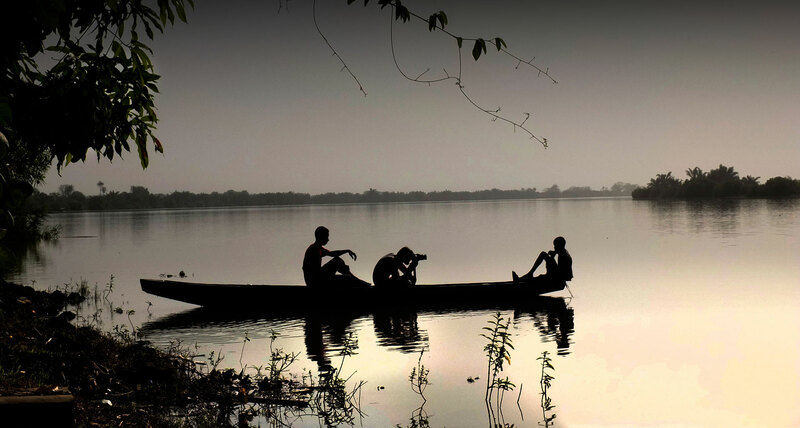 Florio completed the first recorded circumnavigation of The Gambia by foot, co-leading with his wife Helen Jones-Florio – a 930km expedition, producing an award-winning series of portraits titled ‘Silafando’. 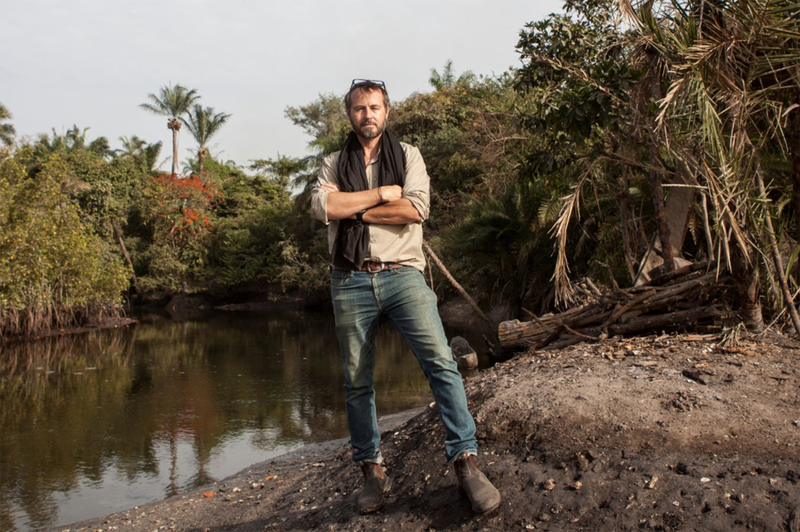 Three years later he co-led, with Helen, the first recorded expedition of River Gambia from its source in Guinea-Conakry to the Atlantic Ocean, in The Gambia – creating a document of the communities that live along its 1130km course before a planned dam is constructed. Florio currently bases between the UK and West Africa. Follow him on Instagram – @jasonflorio / @floriotravels – for regular photo updates about what he is up to and where he is at in the world.